A number of years ago, a client of ours and his wife were looking to leave Doug’s, home state, the Garden State. They were looking to find a better life in a warmer and friendlier climate. After selling their home and having a wad of cash in their hands, they found that Coastal North Carolina met and exceeded their requirements. Larry had a goal of buying a home and putting “X” amount of cash in the bank after the purchase. His wife had a similar goal, and that was finding a really nice new home where she could finally get everything that she wanted. They looked at all the homes on the market, new and resale, and the two decided to purchase a homesite and have their Dream Home built. Yes, to their specifications, which is still today what about 80% of our clients do. After selecting a model that had all the bells and whistles with plenty of room for entertaining, daily living and hosting family and friends visiting from up north, the couple wound up building a home larger than their NJ home where they raised a family. Makes sense, right? And, so goes one of Doug’s favorite real estate tag lines of all time, as said so poetically by Larry: We downsized to a larger home! 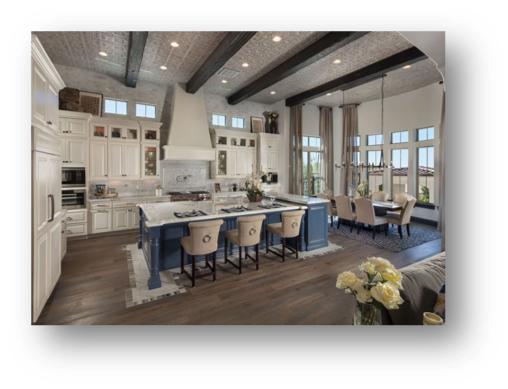 Team Carolina Plantations, along with our sister company Plan View Design, help people every day determine what they need/want in a house. It’s a huge part of what we do, and when you do anything enough, you hopefully tend to get good at it right? Rest assured that we are very good in helping our clients research and make quantitative decisions on securing a home that makes sense for them. And we say this because there are builders, architects, Realtors and more, that believe bigger is better. Master Bedroom Downstairs: In Doug’s 17 years of selling real estate, he cannot remember a retiree purchasing a SF home with a master bedroom upstairs. This is a no brainer. Open Kitchen: Gone are the days of galley kitchens, unless of course you live on a small boat. Open the darn thing up so you can entertain, enjoy sunlight and have fun in your kitchen preparing yummy meals! Dining Area: Sorry ladies, but those formal dining rooms that used to get used once or twice a year are even less popular in Coastal NC. The trend for years has been a large inviting dining area that can be dressed down for breakfast and lunch, as well as dressed up for formal dinner parties. Laundry Room on First Floor: No longer are laundry rooms hidden in basements, hallways or garages. Screened Porch: You are moving to a warmer, more temperate climate and , living outside in a screened porch becomes a large part of one’s lifestyle here. Fresh Air, Times Square! This list can be a bit lengthy and subjective, so we have sorted these by the most popular rooms added in Coastal North Carolina. 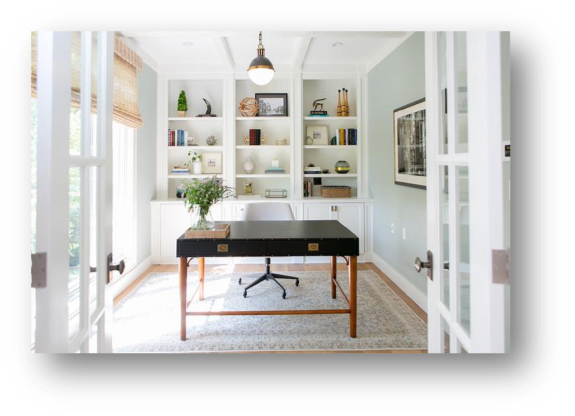 Study/Office: Builders and home designers often use the area where a formal dining room would have been and convert it into an office/study. Why? Because this is often the internet room, mail room, getaway room, TV room, Skype room, reading room, card room, etch. Converting a bedroom also works. 2nd Bedroom on First Floor: This has been popular for a while because as retirees become seniors, separate bedrooms and health issues often dictate this necessity. Also to consider is that when older friends and/or grandchildren visit, stairs are not necessarily a good thing. 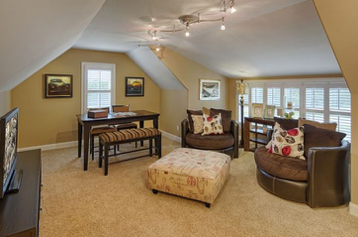 FROG/Bonus Room: The Finished Room Over the Garage is one of the most economical rooms to build in a home. Since we don’t have basements, the FROG is often transformed into a Man’s Cave, extra bedroom, craft room, storage, game room/pool hall, or a combination of all of the above. Carolina Room/Sun Room: This room typically replaces a screened-in porch and provides you yet another indoor room to watch TV or read. If you move south, our suggestion is to live in your screened porch for 1-2 years and if you need additional indoor space, then close it in. 3rd and 4th Bedrooms: When you are retired, you want to LIVE in as much of the space on the first level as possible, so put your guest rooms upstairs if possible. Formal Dining Room: If you really plan to entertain on a regular basis and/or have a dining room suit you simply cannot mentally or physically depart with, then you need a formal dining room. We do remind our clients all the time that it will be just the two of them living in their home 95% of the nights in a year. Therefore, build or buy the home based upon your comfort and size requirements. We think the best example of this is that the space allotted to a Formal Dining Room costs approximately $30,000 – $40,000 of the purchase price of the home. To spend that amount and use it once a year is just not a good financial decision. Yes, we know that your grandmother’s furniture is important, but if you converted that space into an office/study, you will probably use that square footage 24/7 for the rest of your lives. 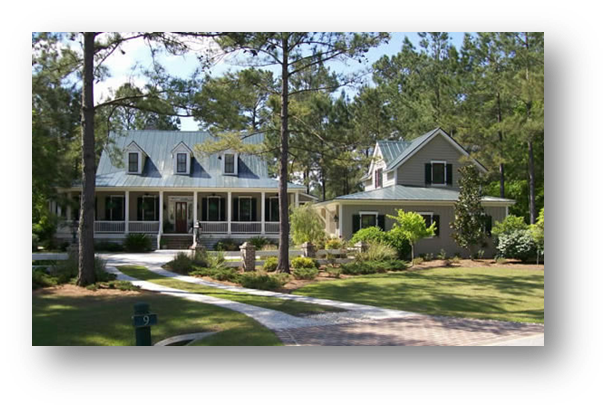 If you are searching for the perfect forever home on the Coast of North Carolina, please contact us today to get your search started.